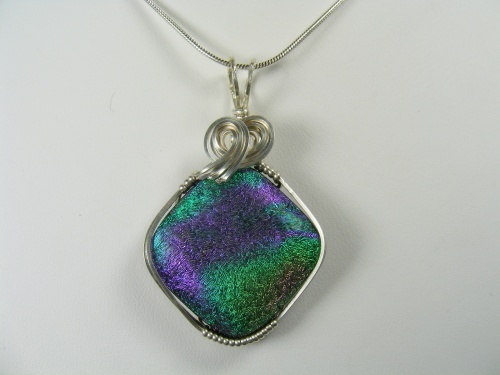 This beautiful dichroic handmade glass has striking colors of green, purple and golden yellow. Enhanced with sterling silver curls this piece just shouts with vibrancy. Piece measures 1 3/4" by 1" and comes with a sterling silver snake chain.